Do Investors Anticipate Sell In May? In a recent article I have tried to answer this question. Based on calendar month returns there is no strong evidence that investors have changed their behavior in awareness of the Sell in May effect. But if we zoom in and take a look at the turn of the month returns of April and October we do see a shift over time. On average, the turn of the month return for April has come down and has even become negative in recent years. 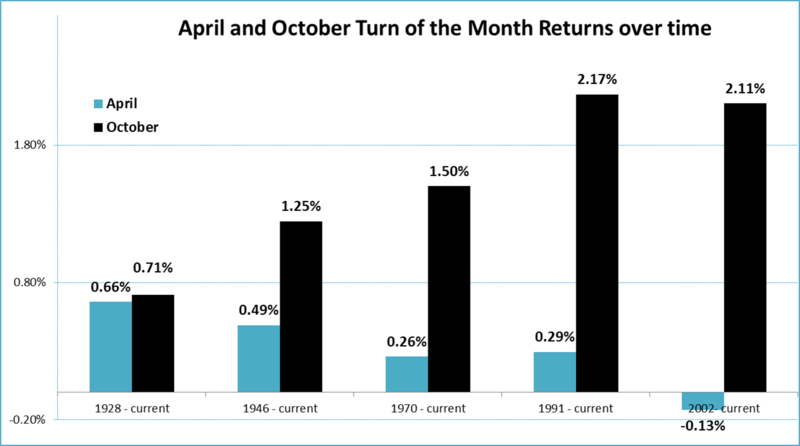 At the same time the average turn of the month return for October has increased quite aggressively.